The Grander in-line and immersion devices uniquely use Water to treat Water! 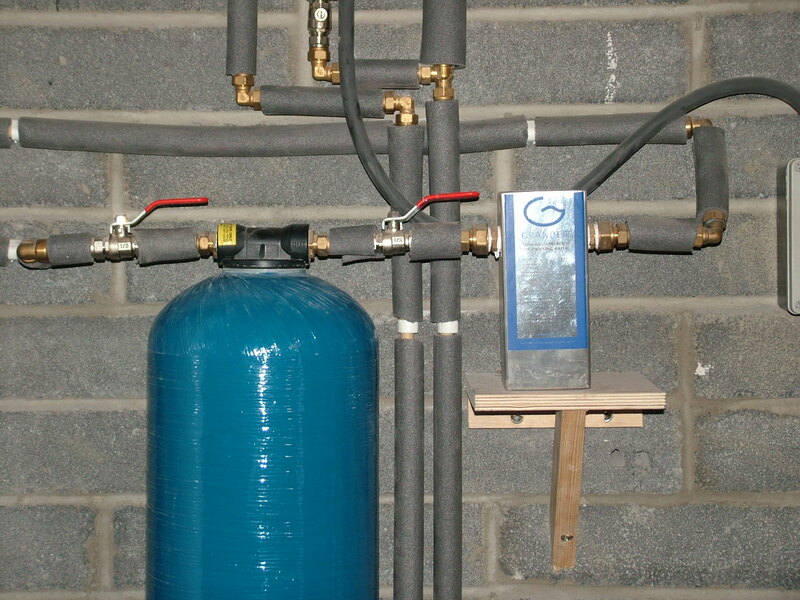 Grander performs the same scale crystal conversion as before for homes, businesses, farms and swimming pools. Grander also has many health and healing benefits plus business and industrial savings. See Grander Water Revitalisation. Homes and Whole Building treatment. No Power, No Mechanism, No consumables, Nor maintenance and a lifetime of service. Wetter Water improves chemical and disinfectant actions and requires less wash water. All the benefits of soft Water.